American Idol contestant Gedeon McKinney came home to a rousing reception by YO! 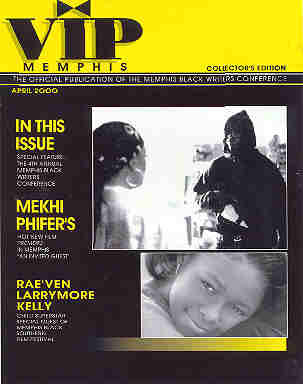 Memphis after being voted off the hit TV show. The press was there to interview the 17 year old star before he went inside to perform for a SRO audience. Gedeon electrified the audience as he had the place rocking for the entire performance. American Idol voters have made some big mistakes over the past seasons, but this was by far their biggest mistake. Gedeon should still be on the show. Gedeon, it is not about the talent but about the vote. The 30th Anniversary NAACP Freedom Fund Gala was held Thursday, March 16 at the Cook Convention Center. Bruce S. Gordon, President and CEO, was the keynote speaker. The event was attended by a plethora of the city's finest civic leaders, businessmen, educators, and religious leaders. Among those in attendance were Attorney Jerome Payne, V. Lynn Evans, David & Yvonne Acey, Mayor Wharton, Johnnie Turner, Dr. Benjamin L. Hooks, and Maxine Smith Kevin Kane and Willie Gregory were the 2006 CO-Chairs for this year's NAACP Freedom Fund Gala. 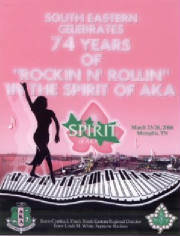 The 74th Annual AKA South Eastern Regional Conference was held March 23 - 26 at the Memphis Convention Center. Nearly 2,500 ladies flooded the city with pink and green for this four day conference which highlights community service projects. Alpha Kappa Alpha Sorority is an international service organization with more than 170,000 members in more than 950 chapters in the U.S., England, the Caribbean, Germany, South Korea, West Africa, and Japan. The organization has provided more than 3 million hours of service, benefiting more than 16 million people. They have also exceeded $20 million grants and chapter contributions across the world.